When Aldo McPherson was 12 years old a car accident left him in a coma. While in the coma, he had a supernatural experience where he went to heaven, saw God, the angels, Moses, and Abraham. Aldo came back with one message: Jesus is Alive! This book challenges the complacent. Is God still your first love? Are you sold-out to Him? Filled with Scripture references, and direct quotes from the Bible, A Message from God will ignite the sparks of the Holy Spirit in your life and bring you closer to God, while Aldos letters in his own handwriting give a sense of authenticity not found in miracle stories. What do you do when life hands you marshmallows? If you're Bellflower Munch you make marshmallow sandwiches, of course? Enter the amazing and hilarious world of mystery-solving, secret exposing and danger-surviving antics with 11 year-old Bellflower and her guardian angel, Harold. Living in the attic of two grumpy old ladies, can Bellflower bring her mother home again? Can she do anything right? - or does she only find herself in more trouble? Climb aboard with Bellflower and Harold for an incredible journey of supernatural events you won't forget! The church must experience a radical change if our latter glory is to be greater than our former glory . . . and the time for that change is now! We are a generation called to greatness – called to step into something bigger than ourselves that is worth laying down our lives for. Prophetic Surges summons an awakened generation who will answer this call and come forth in the spirit and power of Elijah as reformers who will restore all God has declared over us. What does this glorious church look life? How will it operate? In these pages, Randy DeMain paints a prophetic portrait of a church with a fresh revelation of Jesus – a church that moves in the demonstration of Kingdom authority and power because she is filled with His Word and Spirit. In Section 2 of Prophetic Surges, you will find Bible-based prophetic proclamations that you can release into the earth, causing the surge and swell for the church to break through into her destiny. We are the generation who will see the fulfillment of God’s words spoken through His prophets as we take those works and release them into the earth with faith. Come, be a part of the surge – the magnificent transition into a glorious new day! Read the Bible, pray, go to church, tithe . . . is this what it means to live the Christian life? Is there more to living the Christian life than following a list of rules? Have we overlooked the main point? Does your Christian life need to be revolutionized? How did Jesus Christ live by the Spirit? What practical steps can we take today? If you find yourself unsettled with Christianity-as-usual . . . If you want practical steps on how to know Christ in a fresh, new way . . . Then The Secret to the Christian Life is for you. You'll also want to look for The Highest Life and The Inward Journey, the companion volumes in Edwards's Introduction to the Deeper Christian Life. You have been given eyes that see! The Apostle Paul prayed for believers' eyes to be opened (Ephesians 1:18). He knew it was God's great desire that we behold and understand all that has been made available to us through the finished work of the cross. The Lord Himself offers to open the eyes of the church so that we might see (Revelation 3:18). This powerful book by Patricia King will help you lay hold of the spiritual sight that you have been given in Christ. You will see in Scripture that the Lord has opened your eyes, and you will learn simple and practical ways to begin practicing seeing inn the Spirit. All your life, the Holy Spirit has been pursuing you. He wants to take you on an action-packed adventure that involves every day for the rest of your life! Do you dare to step out in faith and invite Him to shape your future? Plugged In to God’s Power offers you an opportunity to explore the nature and workings of the Holy Spirit in an easy-to-understand format that is not weighted down with religious terminology. Explore a non-religious teaching on an extremely spiritual subject! Who is the Holy Spirit? Why doesn’t everyone embrace Him? Learn how the Holy Spirit has impacted men and women since New Testament times and how He is still about the business of performing life-changing miracles! Examine what Jesus aid about the Holy Spirit. As you work through the interactive study questions, you will explore topics such as praying in the Spirit, gifts of the Spirit, baptism and manifestations of the Holy Spirit. Every single page of Plugged In to God’s Power will take you to new dimensions of Spirit-led living as you continue on in your journey of faith! There’s life in the blood. 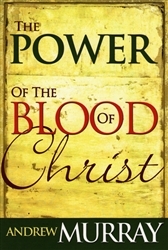 In this classic exploration of the Scriptures, Andrew Murray leads the reader to a complete understanding of the significance and reality of the power of the shed blood of Christ. Astounding results can take place in your life once you have learned about the power of the blood of Jesus and how to use it in coping with life’s difficult situations. This mighty weapon of spiritual warfare holds the secret to a victorious life. Defining Moments is a fascinating look at the remarkable ways in which God has used ordinary people to change history. But it is about more than history alone – it illuminates the present and unveils the future. Prophetic in nature, this book reveals how God wants to work in each of our lives to fulfill His purposes – today, tomorrow, and in the years to come. Author Bill Johnson highlights the significant traits and contributions of many well-known revival leaders, including John Wesley, Charles Finney, Dwight L. Moody Maria Woodworth-Etter, Carrie Judd Montgomery, Smith Wigglesworth, John G. Lake, Evan Roberts, Rees Howells, Aimee Semple McPherson, Kathryn Kuhlman, Randy Clark, and Heidi Baker. He explains the impact these leaders can have on us today as we respond to the life-changing truths revealed through their life stories. There is power in knowing the testimonies of men and women who experienced God in a defining moment and said yet to His unique call on their lives. It is a power that inspires us to hunger for God in such a way that we, too, will have an encounter with Him that launches us into the world of the “impossible,” enabling us to fulfill a greater measure of our destiny. Read this book with a sense of readiness, and watch what happens. Do you have a clear objective for your life? Or are you drifting through life, being carried here and there by the winds of habit and fashion, tossed by waves of circumstances over which you have no control? Herein lies one of the greatest benefits and blessings of the Christian life: to know God’s will. Derek Prince presents the keys to discovering God’s plans for your life, and he discusses how you can . . .